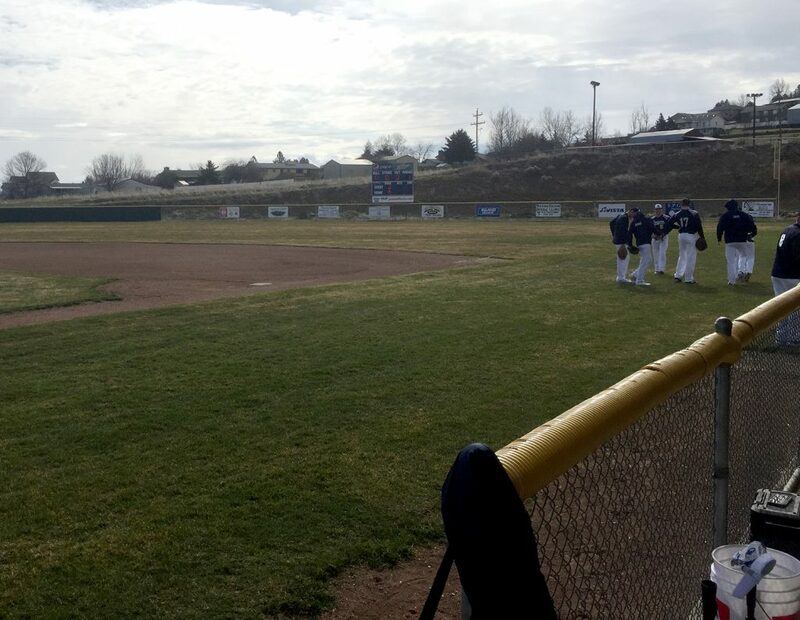 Much like the Seattle Mariners opening the MLB season in Japan, Chewelah started its season with a “traveling” series by traveling with former NEA League foe Deer Park down to Clarkston on Saturday. The Stags came away with a doubleheader sweep of the Cougars in the first game action they have seen since practices began four weeks ago by scores of 1-0 and 9-1. In the first game, Jake Jeanneret while Carl Oman and Zak Kubik all had hits in the matchup while young Andrew Sweat pitched a solid six innings and struck out four for the Cougars. It was a tight affair with a few miscues expected in the early season. Sweat tried to get ahead in the count during the game, throwing 12 first-pitch strikes. The lone run for Deer Park came in the second inning and was not driven in by a Stag batter. Carson Colville had three hits for the Stags. He posted a triple and scored the winning run. Oman and Kubik each had doubles. In the second game, Deer Park came away with a bigger 9-1 victor despite three quality at bats by Cole Davis, Zak Kubik and Johnny Larson. Chewelah was held to three hits total, with Oman, Kubik and Justin Rollis each hitting singles. The Cougars led 1-0 after three innings before Deer Park scored all nine of their runs in the bottom of the fourth and finished the game with 10 hits. Rollis pitched three innings for the Cougars and struck out five while Jake Jeanneret also had fourth strikeouts in the matchup. Kubik had a double in the game while Carson Colville notched two more hits and a triple. Chewelah will host Springdale on Tuesday beginning at 2 p.m. in a Stevens County doubleheader. They’ll host St. George’s on Friday at 2 p.m.